Since I found out screen shots are against the ACP I decided to post a alternated version on this page. The reason why it dose not look the best because I have other stuff I want to be getting on with. But for those of you who visited my page I am sure you can give a rundown what is going on. This is what my Inkbunny looks like compared to your inkbunny. This is what happends when you have a mother that has the vergin media child locks on. The annoying thing is about virgin media is virgin will choose what IT thinks is safe and what it thinks is Not safe. Google images (I can come across some right doudgy stuff sometimes in there) Nothing wrong what so ever. Hay even google + and you can find some right NSFW stuff on that! So the genral theory is if it is SFW or seems that way Mr Virgin will let you go on it. If it dose not seem that way for example e621 it will block it! I can not stress this point more. My mother pays for virgin media therefor she is in control of the child protection! I can not stress that fact more. You see unlike e621 (never again...) Virgin will let you on the site of inkbunny. Pretty good stuff and is better then nothing. What Virgin has foolishly done is not let me see the picture so it could be anything. It could be a picture of a furry with a swat sticker saying "Hail hitler"
It could be something like suport terrorism! But well done Virgin! 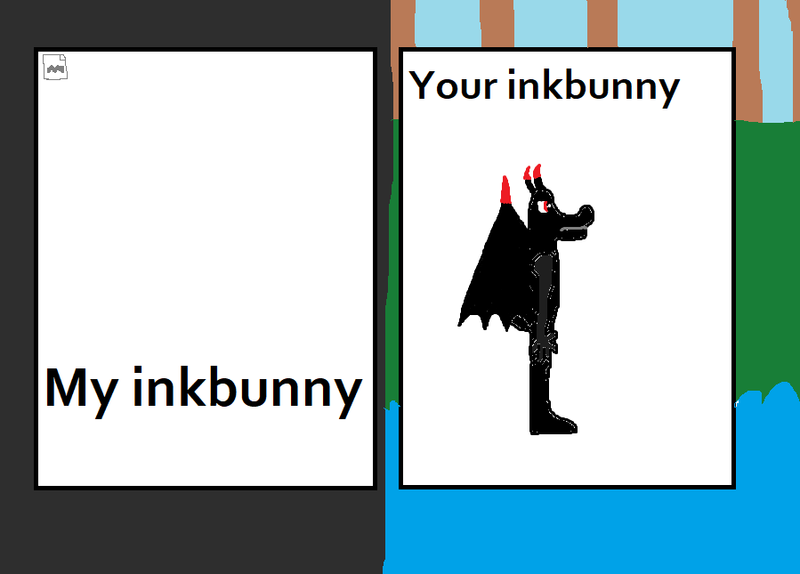 You made inkbunny more dagous then it actually is! You see before I could see it and avoid it. Now I can not see it! Now before anyone can assume that I am underaged NO! I am 23! The reason why this is put up is for many reasons like to stop dodgy websites and make sure I do not get into trouble with 18+ websites. MY MOTHER PAYS FOR THE INTERNET BILLS FOR VIRGIN SO SHE IS THE ONE THAT CAN CHOOSE TO HAVE THE CHILD LOCKS ON OR OFF! I say this because the last time this was mentioned people just assumed I payed for virgin and I could easily turn it off. I tried to tell them but they just said just go on the virgin site and turn it off. I can not turn off the child protection unfortunatly. Only the bill payer can which would be my Mother in this sence. Thanks for listening Plese make sure not to put any comments about turning off virgin child protection since I can not do that because I am not a bill payer! Be aware that the artwork that is used is not my art work. This was just used as a example. Please in your own time if you like give credit to those artist not me. That prolly has nothing to do with Virgin's filters. Go to your settings and try another content server, and if others don't work either, choose 'main server'. If you get to see the page, you'll get to see everything else. Since you are over 18, there is a way around the protection. Connect to Inkbunny through a proxy server. Just use google to search for a proxy server that works and configure your browser to connect through that. Keep in mind that while many proxy servers are free, others are not. Your browser connects to the proxy, and the proxy connects to Inkbunny, bypassing the protection. Another option is to find and download a copy of DNSCrypt. That would bypass Virgin's DNS server and likely let the pictures through. Either DNSCrypt or a proxy should only be used if you have control of your own system. Otherwise, anyone else on that same system would be getting past the protection too. Another option, if no one in your house is under 18, is to have a nice friendly talk with your mother in the hopes of getting her to add Inkbunny to the exception list in Virgin's settings. You'd probably need to convince her that Inkbunny was safe first. Show it to her in SFW mode only!